Gili Trawangan is the largest island, with a local population of about 1000, Gili Trawangan also has the most visitors and facilities, and reputation as the “Party Island” of tha group. While this reputation refers to the many fun parties held at different bars restaurants on island, it is a misleading description of this lovely place. Gili Trawangan is the furthest from mainland but easily reached in less then an hour by local boat and 10 minutes by fast boat. 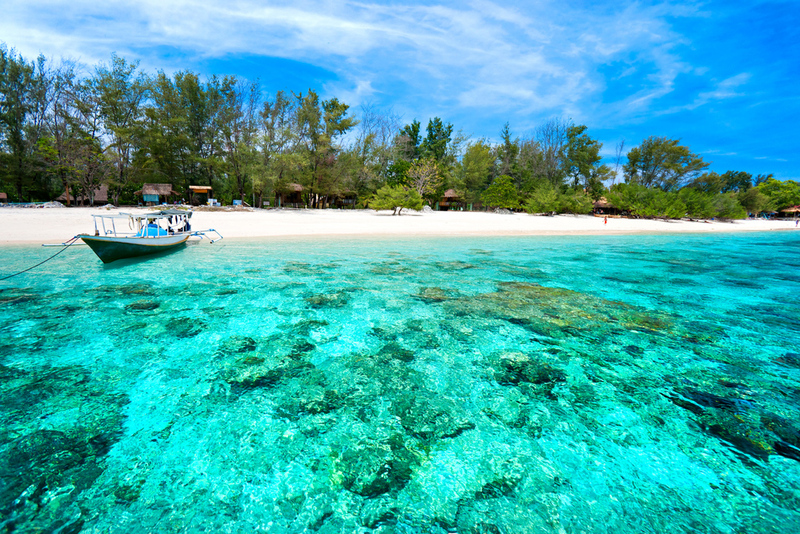 There is a wide variety of accomodation on Gili Trawangan, ranging from simple home-stays to up-market hotels and villas with swimmming pools. there is a great selection of bars and restaurants to suit all tastes, particularly toward the southern end, known locally as ” Sentral”. Snorkelling is extremely easy just off the shore and there is still an abundant variety of tropical fish species to enjoy. 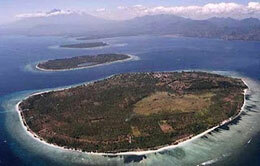 The island is famed for its vast gardens of coral and is one of the best dive sports in Lombok. A hill at the south of the island has traces of two japanese WW II gun emplacements. At sunset, it’s a good place to enjoy the view across the strait to Bali’s Gunung Agung. 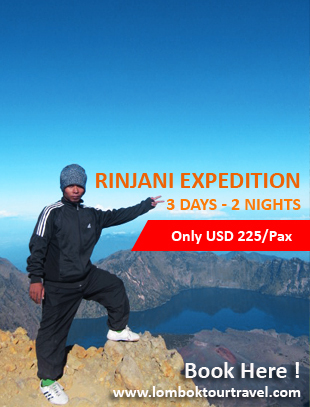 The sunrise over Mount Rinjani is also impressive; one islander described Trawangan’s three main attraction as “sunrise, sunset and sunburn”.